The Reverse Osmosis process is one of the finest filtration processes known till now. The RO water purifiers use a semipermeable membrane with micro filter size of only 0.0001 micrometer to remove up to 99% of all soluble solids, bacteria, small particles and organic compounds with molecular weight greater than 300; make pure water which can be drunk directly with boiling. In addition, to get rid of the strange water taste (caused by some minerals retained in membranes due to larger size), SUNHOUSE water purifier products all equiped with a core NANO SILVER filter which has micro silver molecules and activated carbon for disinfection, make water taste good. This is a natural bactericide, safe for the health of pregnant women and young children. Alkaline filter core is made from mineral grains, through electrochemical processes, they are soaked with ion, oxygen and inorganic minerals to balance PH concentration, make ionic electrolyte, oxygen, minerals and good taste of water. Moreover, water after filtration is good for the cardiovascular system, prevents of aging skin and gastrointestinal disease. 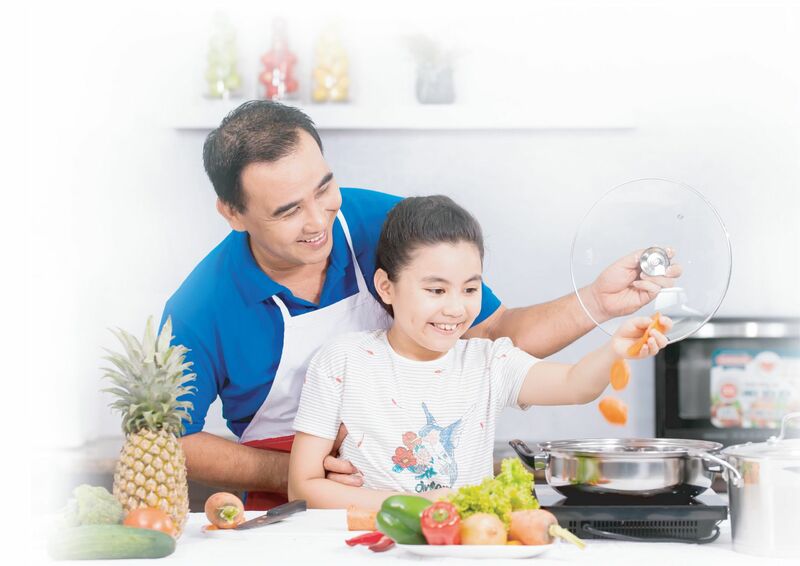 Many other automatic features such as automatic washing RO membrane before filtration, stopping operation when the water pressure is too low, automatic shutting off when the water is full and automatic discharge of waste water ...make SUNHOUSE water purifier become a reliable choice for Vietnamese consumers. For years, SUNHOUSE has been honored with many prizes such as "Trusted & Used in Vietnam", "Vietnam High Quality Product" and "Strong Vietnamese Brand" ... This is a clear proof for the the trust of customers with the brand SUNHOUSE, is also a source of encouragement for SUNHOUSE to constantly improve technology and product quality.